Carry any tool you'd need to prep a meal right in your pocket. 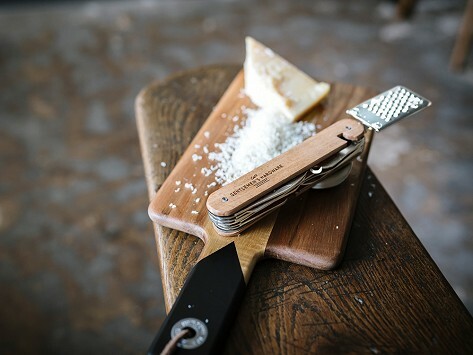 With its rugged build and beautiful packaging, this vintage-looking Kitchen Multi-Tool includes a cheese grater, garlic crusher, carving fork, bottle opener, and three different knives. 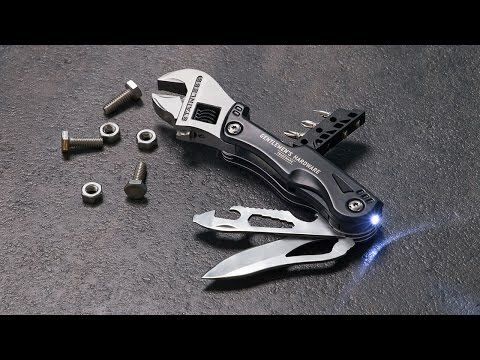 A perfect tool for camping adventures or an essential for your kitchen drawer. Dimensions: 6.3" x 1.5" x 1.8"
Gentlemen’s Hardware Tools aren’t just for guys, though. They’re for any person who wants to add some flare to their fixing.